The University of Florida Genetics Institute (UFGI) seeks to promote excellence in the areas of genetics and genomics at the University of Florida by: building community, facilitating collaboration and creating opportunities for intellectual exchanges among investigators working in diverse taxonomic systems but with a common set of approaches in genetics and genomics; supporting recruitment and retention of outstanding faculty in the areas of genetic and genomics; supporting graduate education in the areas of genetics and genomics; enhancing the ability of researchers at the University of Florida to compete for multidisciplinary research grants in the area of genetics and genomics. 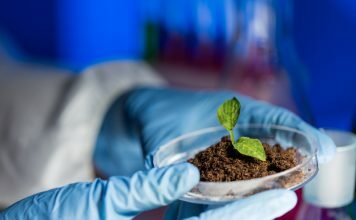 All aspects of genetics and genomics are studied ranging from agriculture and horticulture through animal systems to personalized medicine and evolutionary studies. Developmental biology and regenerative biology laboratories are one focus of research in the UFGI and in the Regeneration laboratory the organisms that are studied are axolotls and spiny mice of the genus Acomys. 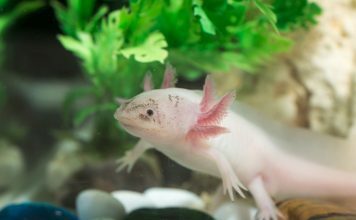 Axolotls are Urodele amphibians which can regenerate every organ that has been examined (heart, spinal cord, limb, tail, retina, lens, lung, lower jaw) even the forebrain and this is one area of focus along with studies on limb regeneration. We are studying the signaling systems required for the regeneration of complex organs and we hope to understand how structures such as a limb or a brain can regenerate and eventually translate that to humans. The spiny mouse, Acomys, was discovered recently to be a remarkable adult mammal capable of regenerating full thickness skin injuries and the Maden lab has now expanded these observations of regeneration to include the heart, the spinal cord and other skin injuries such as burns. Again we hope to translate these findings to generate therapeutic products for the benefit of humans.